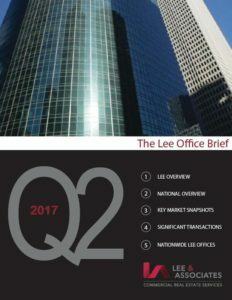 While that GlobeSt.com article characterizes the market performance as “firm,” Lee & Associates President Jeff Rinkov calls the office performance “flat” for many of the same reasons except Rinkov points out that 2Q 2017 was the third straight quarter of lack luster performance. What is not clear is which factor is having the biggest effect on the market. Corporate America is ahead of the institutional office market when it comes to workplace innovation, focus on space utilization, and portfolio efficiency. Office development trails occupancy trends at first, then not only catches up to demand, but also generally overbuilds exceeding demand. It is our opinion that, in the short term, rents will stay high and supply limited. However, the longer trend is corporate America’s fixation on workplace and space efficiency. Supply will continue to increase with new office delivery, but demand will taper off and grow at a slower pace. When these trends cross paths going opposite directions, expect the cycle to swing into hyper supply, which almost always benefits the occupier. Just look at the Houston office market today for what the rest of the country might look like when this happens. Built for the energy patch, Houston’s office market has 18.8% vacancy as of 2Q 2017, the highest overall vacancy since 1994. Whether you see the office market as firm or flat, the question is: Will this dynamic continue throughout 2017 into 2018, leading to a shift in supply and demand? And don’t forget about the FASB Leases Project-ASC 842. Next year many companies will be realizing for the first time the real impact to their balance sheets. This exercise alone could extend negative net absorption as companies accelerate the disposal of excess space. What’s going on in your market? 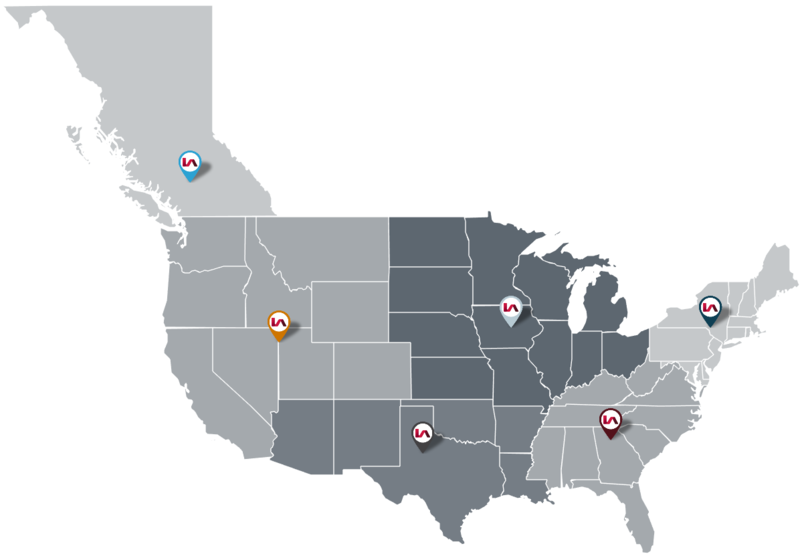 For a region-by-region outlook of both the office and industrial market nationwide, check out our Lee & Associates National Office & Industrial Market reports. Our 2Q 2017 Reports outline a tale of two products: office space has enjoyed a comeback but appears to be peaking, while the industrial market continues its hot streak which could last into 2020.